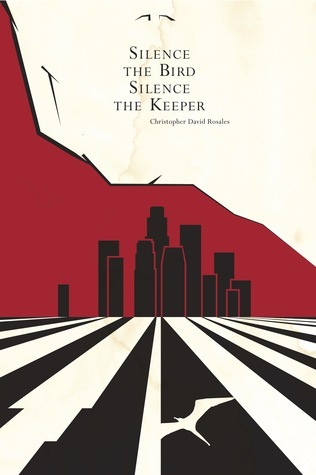 In Christopher David Rosales’ first novel, 'Silence the Bird, Silence the Keeper', he creates a completely unique vision that seamlessly blends tropes of magical realism and dystopian fiction in a portrait of power in America that we’ve never seen before. Imagine it as the communal love child of Marquez, Bolaño, and Orwell, a child who inhabits an America that resembles Pinochet’s Chile, and yet feels uncannily (and frighteningly) familiar to present day Los Angeles. A world in which street assassin Tre, a young and much beloved brother and son, finds himself caught in a city where all its citizens, even its most dangerous, are potential targets in the on-going power struggle between an authoritarian military regime and a not-so-community friendly guerrilla force. As Percival Everett says, “This novel treats revolution, love, betrayal and magic with equal adeptness and intelligence. In a world that is at once ours and foreign Rosales makes characters that will be remembered when the novel is done.